Out of nowhere - the fresh new free communications template right here, right for you. Name of the web template is 'Fantasy Land'. Our free communications templates are usually an excellent option for developing ISP Ð?Â±nternet site or a site for wireless ISP. Now how precisely do we get free templates into our selection? Our team search the internet for template designers which produce free website templates and we manually select the best examples of their templates to end up being included in our selection. We then check it to be standards compliant and valid - only after that it opens up to our site visitors. Just what good is a free isp template? Certainly, most of our free website templates are quite similar to the premium web themes in the terms of quality. Each time a free web template is created by a expert designer it is of high quality simply because no guru would like to ruin his/her name by delivering inferior designs. A time for little proof. Not all of the free templates were created equal. The truth is, there are some that are of lousy quality or some that arrived to us from ugly nineties. But what you see on our site is a selection (see, we selected them, not just grabbed anything we could reach for) of professional top quality pre-made designs, i.e. top quality free templates. 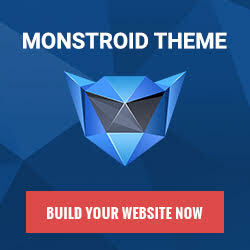 Frankly, some of them tend to be even better than premium paid-for web templates. You don't need to be a mega-brain to understand that the quality of the web template typically depends on the degree of the web designer's professionalism. There are newbees, students, self-proclaimed gurus (hehe, more often than not - just some schoolboy with lots of imagination and lack of experience) and there are those people who are seasoned experts of web design and web development. And those real experts don't spend all their time earning loads of money as you may have thought - occasionally they create a few free web templates just from the love of the art :). Lot's of folks (or all of them?) love freebies. And that is due to the fact that free doesn't necessarily mean poor quality. Here's this beauty of a web template right before you - now, tell the truth, does it seem like 'poor' quality? I can guarantee you - it's not bad, on the contrary - it's a sample of one of the greatest free web designs out there on the market. We hope that our free communications template is just what you were hoping to find for your ISP website.